Hello! Happy Friday! Today I have a card using the Taylored Expressions March Stamp of the Month and coordinating dies (sold separately). I also used the TE March Key Ingredients which is a perfect match with the SOTM! 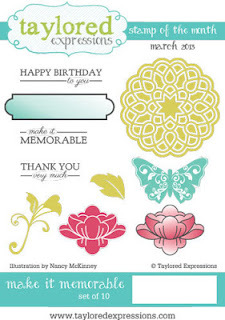 All cardstock, patterned paper and ribbon are from the March Key Ingredients. 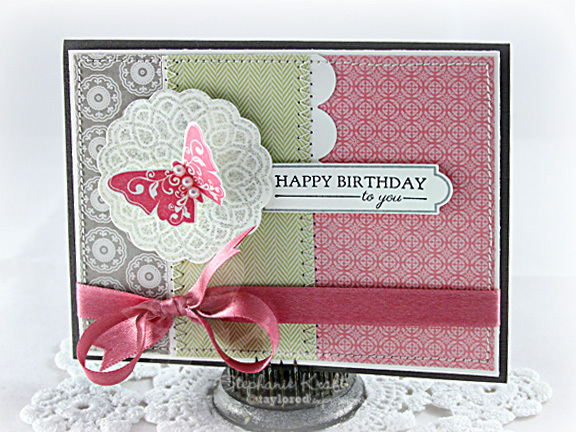 The medallion, butterfly, label and sentiment are all from the March SOTM and were die cut with the coordinating dies. The only supplies I added from my own stash were ink, embossing powder and pearls. 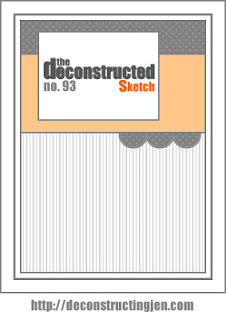 I used Jen's Deconstructed Sketch #93 for my layout. 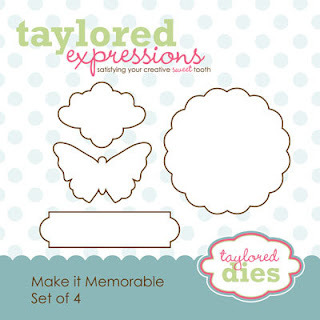 Accessories: Taylored Dies: Make it Memorable, Medium Scallop Border (Taylored Expressions); Pearls (Queen & Co), Star Dust embossing powder (Stampendous), Ribbon (March Key Ingredients), Foam tape, Thread, Sewing machine. Stephanie, you have such a great eye! The colors, stitching...everything is so beautifully done! Hope you have a wonderful weekend!